A landscape maintenance company in Baltimore. MAP Lawncare is a locally owned landscaping company specializing in residential services including but not limited to grass cutting, bush maintenance, and mulch bed design. We use top of the line equipment and locally sourced products to ensure quality service and to help other small businesses in the community. We currently service Howard County, Carroll County, and Baltimore County. The change of season is here. Everything is turning green, the daffodils are blooming; it's time to think about getting your yard in shape after that mild winter. Our services range from basic lawn service to full service landscaping & power washing in the Spring & Summer Season, leaf removal & gutter cleaning in the Autumn, to snow removal in the Winter months. 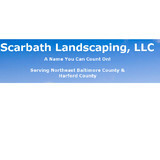 Let Scarbath Landscaping take care of all your landscaping needs today! 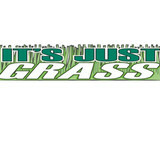 It's Just Grass has been in business since 2010, serving Harford Counties Bel Air, Forest Hill and Abingdon, MD areas with high quality lawn care services at a very affordable price. We at It's Just Grass take great pride in the job that we do for you and will always give you our best, it is our guarantee to you. We concentrate on maintaining a safe, healthy landscape at your home or business. Our IPM service uses products that are among the safest and most environmentally responsible in the pest control industry. We apply bio-rational pesticides when they are available. Call to set up a free landscape inspection now 443-567-0917 We Save Trees!! Alert!! The Emerald Ash borers are here and soon Ash Trees will start declining and dying if they aren’t protected!!! We guarantee the results of our ash treatments. With our preventive ash tree protection programs using systemic noninvasive treatments before your trees are infested we will keep your ash trees free of the ash borer or we will refund the cost of the treatments. Pro Grass Lawn Care, Inc. established in 1979 is one of the largest independently owned, local lawn service and ornamental shrub care companies in the Baltimore, MD area, conveniently located in the heart of Timonium, Maryland. We provide lawn care to Baltimore, Harford, Howard, and Carroll counties and areas in southern Pennsylvania such as New Freedom, Stewartstown, Shrewsbury and Glen Rock. Our trained lawn and tree/shrub specialists are all board certified by the Maryland Department of Agriculture in the use and safety of pesticide applications. Pro Grass, Inc. was originally founded in 1979 by Louis Cariello, and is now under the ownership and management of his son, Neil Cariello, who earned his degree in Agronomy from the University of Maryland in College Park. 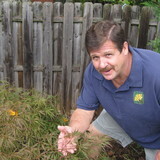 He is committed to maintaining an excellent level of service and quality for all Pro Grass lawn care customers. For more than 25 years, our service has delivered on our promise to provide excellent lawn maintenance that are both visually dynamic yet environmentally friendly. We apply sound principles of lawn care using eco-friendly techniques to deliver outdoor spaces that rejuvenate. Whether a one time customer or a lifetime customer we look forward to servicing your account. Welcome to Bitzel's Lawn Service If you're looking for high quality and personal service, you've come to the right place. At Bitzel's Lawn Service we'll give you the attention and personal service you'll come to expect and enjoy. We offer the best in lawn service and landscaping. Bitzel's Lawn Service has been in business since 1998. Let us put our experience to work for you. We are here for any of your lawn care needs! R.T. MacKenzie was founded in 1985 by Robert MacKenzie, a Certified Irrigation Contractor (CIC) who graduated from University of Maryland with a horticultural degree. We have rapidly grown to become a successful commercial irrigation company with the hard work of several long term employees, the majority of whom have more than 20 years irrigation experience and service with our company. We feel that keeping up with current irrigation best practices is important which is why our staff attends regular irrigation training. We employ individuals with both Certified Irrigation Contractor (CIC) and Certified Landscape Irrigation Auditor (CLIA) certifications. We also hold the EPA Water Sense designation. About 10 years ago, we entered the landscape lighting market in part due to the needs and requests of our customers. The marriage of irrigation and lighting made sense to us as the results of a healthy, beautiful landscape could be displayed year round with landscape lighting. Furthermore, installing both at once offered our customers both products with the convenience of only one installation. Our professionally designed and installed irrigation systems make it easy and convenient to keep your landscaping looking its best every season. 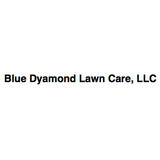 Howard County’s one stop source for Residential or Commercial Lawn Care Services. We offer lawn maintenance, mowing, trimming, edging and aeration. We are dedicated to your satisfaction. We strive to provide a prompt response to our client’s concerns and needs and above all provide quality work. Given the opportunity, we will meet all of your expectations. Protecting and beautifying your driveway or parking lot – Choice Services MD is a full service seal-coating provider providing quality, affordable seal-coating services to every homeowner in Howard County, Anne Arundel County and Baltimore County. Choice Services Lawn Care Services is a licensed and insured professional lawn service provider. J & J Greene Lawn Care specializes in professional residential and commercial landscape design and full lawn maintenance. With beautiful, unique plantings, we can give you the outdoor decor you've always wanted. We have experience in all areas of hardscaping including patios, walkways, and retaining walls. Interested in organic fertilizer, hydroseeding, or power washing? How about leaf or snow removal? We do it all! We are a commercial and residential lawn care service you can trust. If you are not sure where to start, we offer several examples of past work we have done and are happy to help with initial ideas that you can later tailor as you please. Our Landscape Designs offer several different plant combinations that can create a visually appealing scene characterized by contrast, proportion, scale, and balance. We can provide advice on the best options for your property.